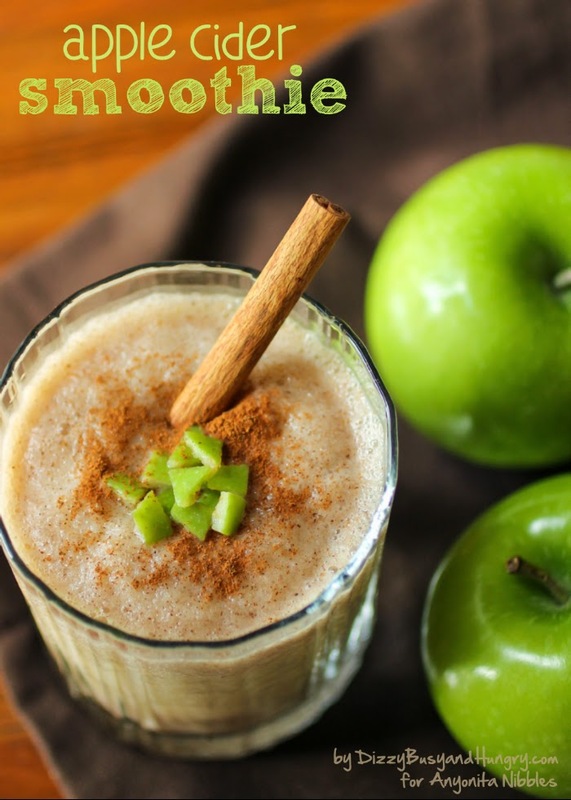 This time of year, the apples here are just amazing, and there is nothing more refreshing than a tall glass of apple cider...except perhaps a delicious smoothie made from apple cider and fresh apples! 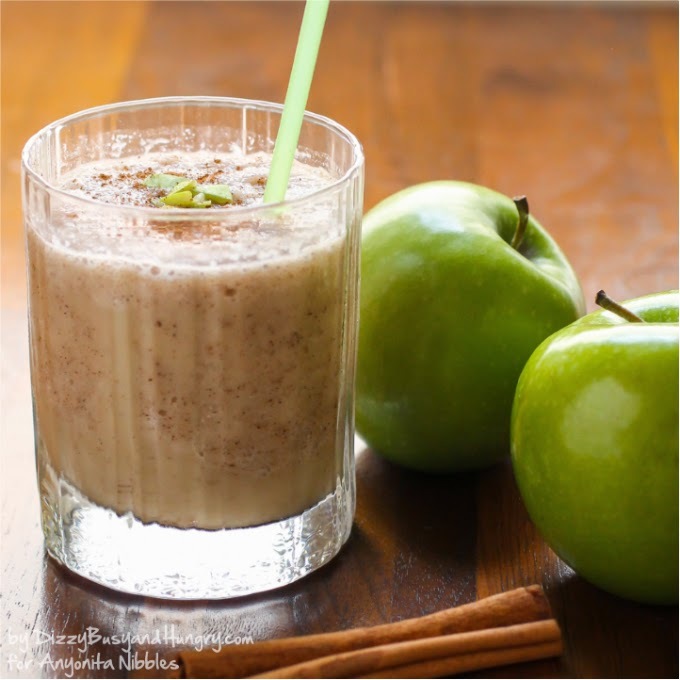 The kids love this smoothie, and it is a great treat for a sunny autumn afternoon, when they have been out raking leaves in the yard and they come in looking for a drink to cool them off (raking is hard work!). 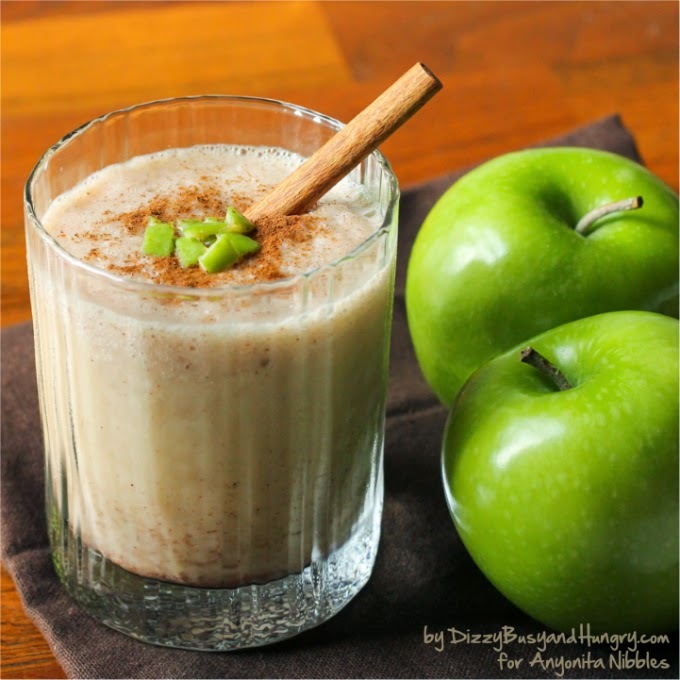 And I feel good serving this beverage because it provides the nutrition of an actual apple as well as protein from the Greek yogurt.